Do you love your kitchen design? This is something to think about when you are looking to buy or even build a new home is what you want in your kitchen? It's the center-point to the house and the gathering place in most homes. What are your must haves? Whether it be having granite countertops, an island, gas or electric cooktop? So many choices! Let's think about the main points in a kitchen. and appliances. All very important features. The layout of your kitchen is very important. The placement of the appliances need to make sense for your cooking needs. If the stove is too close to the refrigerator or on the other side of the room, it might not be a great flow. Or maybe you can't open the refrigerator if you have the dishwasher open. Also, think about where the kitchen is located in the house, is it open to the rest of the house? Is it near a dining area? Something that is very important to a lot of people is having an eat in kitchen or at least an eating space right off of the kitchen. Maybe being near the back deck is important to you. How big of a kitchen do you want? Do you want it to be the gathering space of the house? Do you want it to be open to the rest of the house so you can see the kids or be able to socialize when you are entertaining? Are you not that big into cooking or entertaining? Then space won't be a huge concern. Even a small kitchen if set up correctly can feel big or at least offer you the important things like counter space. Did you know that Lowes and Home Depot design kitchens? Having enough storage in a kitchen can make it or break it. There are so many different types of storage to think about in a kitchen. 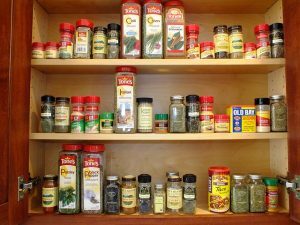 Maybe to make up for lack of cabinet storage there is a pantry in the home. Consider it all! Look at the storage as if you were moving in and putting stuff away. Would your stuff all have a home? Do you like to cook with your spouse and need a spacious kitchen? Think about counter space for small appliances and prep space. Some kitchens look like they would have enough counter space but once the coffee maker, toaster oven, mixer etc. are on the counters there is no room left to cook. Islands are nice to have for extra prep space and also for extra sitting. Appliances can make a kitchen. Stoves come in a variety of different types. Electric coil, electric glass top, gas range. If you have your heart set on gas make sure the house offers gas or at least has access to gas. Refrigerators have come a long way! 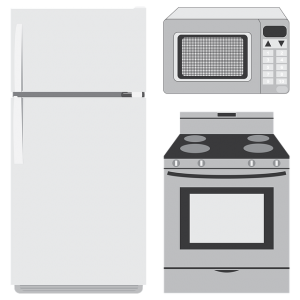 You can go with a standard refrigerator, french door, side by side, one with a water spigot, you name it! Some even have smart screens built in! Dishwashers, microwaves, hood vents… Stainless steel, black, white, cabinet face finish. So many choices, Make sure you pay attention when looking at homes because replacing these things can add up fast. Does the Dishwasher have a high-loop? Make sure you love your kitchen! Like I said before it is usually a main gathering place for friends and family. Every kitchen can be redone to your liking but it is a great big project and usually a costly one. So, if you are not up for that, make sure you pay attention to all of the details big and small in kitchens of the homes you are looking to buy or even build. What is most important to you in your dream kitchen. Hi my name is Bob Clark the owner of Footprint Property Inspections LLC. Currently, I handle and perform all home inspections for the company. I am a Certified Master Inspector. Should you get a Home Inspection? Why to get a Home Inspection for New Construction! Book with Us Today and get a Discount - Enter Code "COUPON"